A family-centered learning community educating Christ-centered, world-wide leaders. 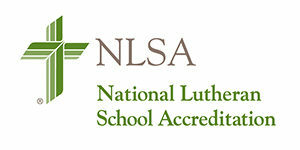 Founded in 1979, Shepherd of the Hills Lutheran School and Child Care continues to build Christ-centered, world-wide leaders as part of our Early Childhood and Elementary nationally accredited learning community. Shepherd of the Hills is a community of parents, students and staff working together to provide a safe, nurturing, healthy learning environment, designed to meet the diversified learning needs of each individual child. A certified Jon Gordon “Energy Bus School”; energized, productive, responsible students pledge to exemplify Christ-like values, positive leadership traits, and climb on board the positive energy Shepherd of the Hills Energy Bus! An accredited, “ 2004 National Blue Ribbon School of Excellence”; Shepherd of the Hills continues to score in the top 10% nationally and an average of two-three levels above grade level above on its annual academic achievement testing scores. We are ready to welcome you to the Shepherd family! Climb on board the Shepherd of the Hills Energy Bus and join the hundreds who call Shepherd home!